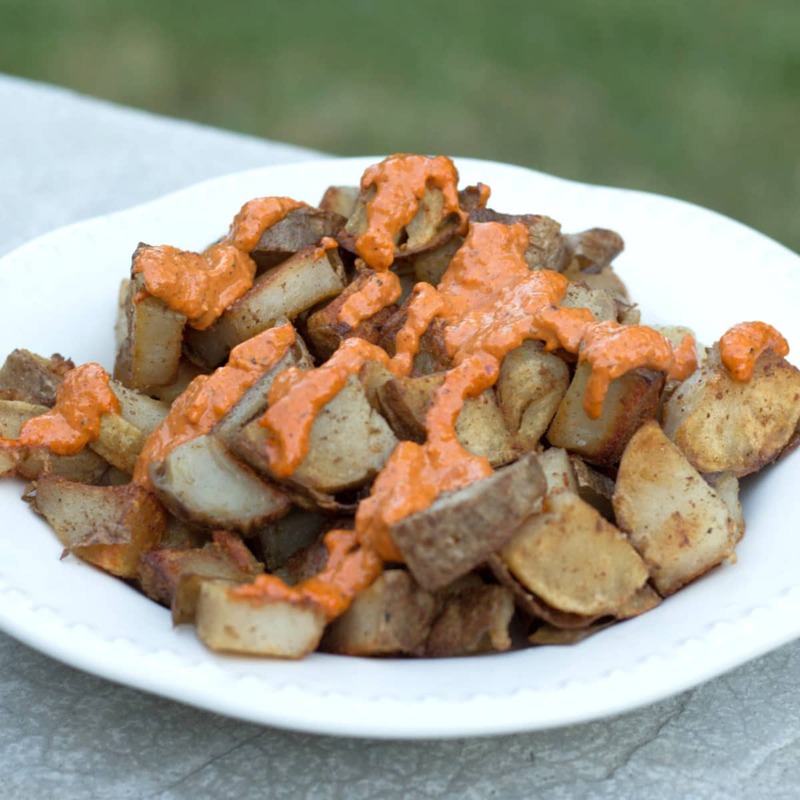 My kids (and I) were obsessed with patatas bravas while we were in Spain and we have continued to make this delicious side dish to go with dinner or just to enjoy as an after school snack. Patatas bravas are basically crispy potatoes topped with a slightly spicy, smoky paprika sauce. So good! 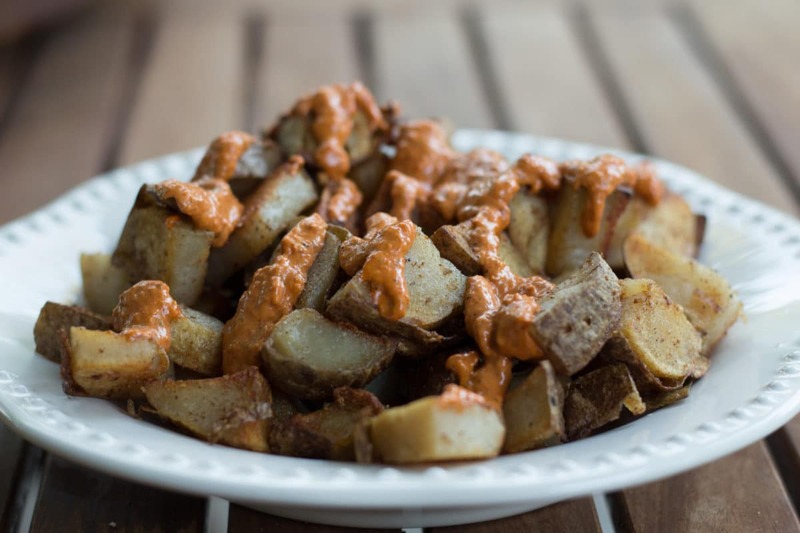 Even if you don’t want to make patatas bravas and you are just looking for a delicious sauce for dipping your french fries … this recipe will come in handy. 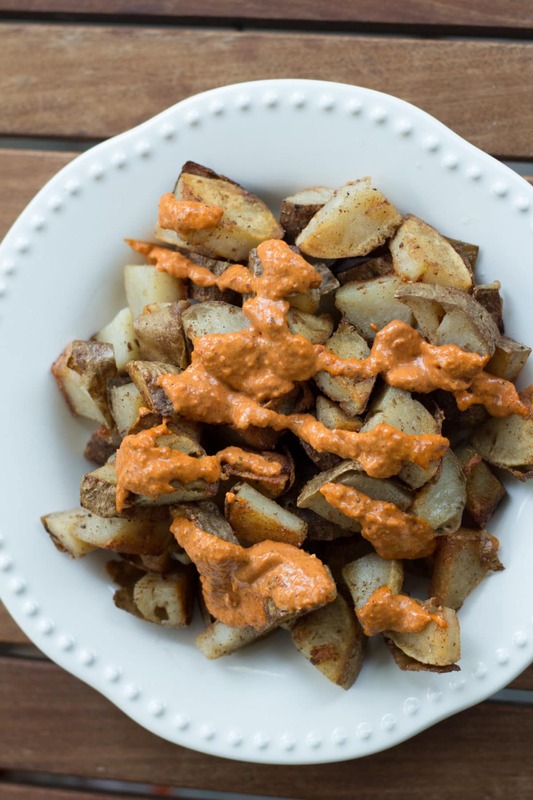 I promise that patatas bravas are kid – and adult – approved – and super easy. 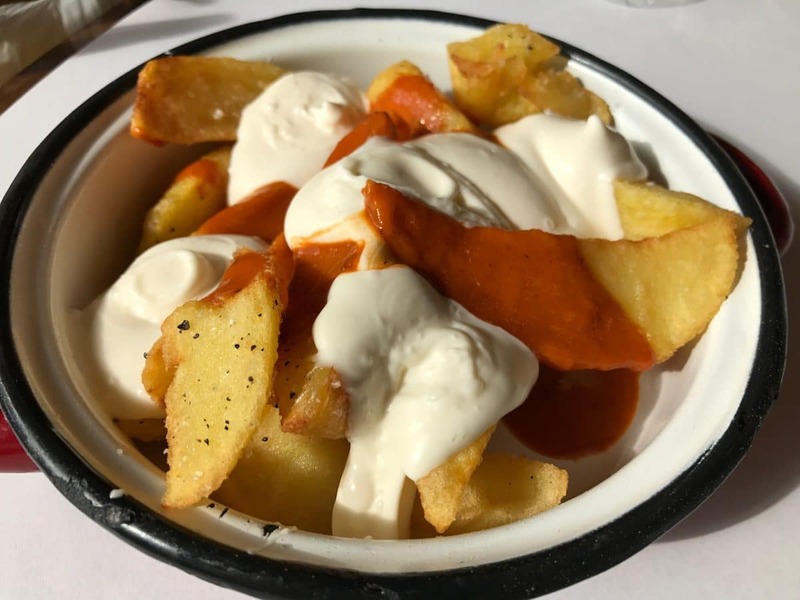 These patatas bravas pictured below are an example of the potatoes we enjoyed in Spain … basically, every day. If you have been to Spain, I hope this recipe brings back some delicious memories. And, if you haven’t made it to Spain yet, this is a tiny taste of how amazing all of the food is over there! One of my favorite tricks for making easy potato side dishes is to bake extra white potatoes whenever I have some on hand. For this recipe, I had 5 pre-cooked baked potatoes sitting in the fridge, begging to be used. To make the potatoes ready for patatas bravas: I chopped up my leftover baked potatoes into neat chunks and cooked them over high heat in hot butter. Let them get crispy and then flip them over. That’s it. I can’t even write up a recipe for that because it’s so easy. I will, however, share my recipe for the amazing bravas sauce. 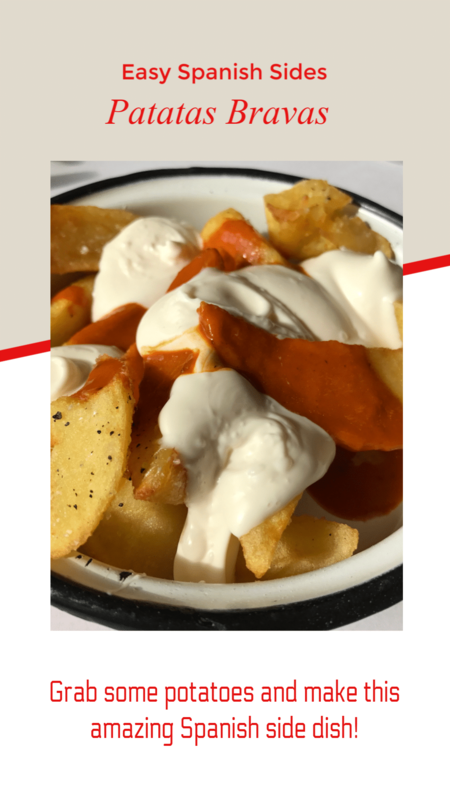 Bravas means fierce or courageous in Spanish, so the sauce should have a little kick. I brought back paprika from Spain and I have found ways to use it in everything. One of the paprikas is a little spicier than the other, so I like to use that one in this sauce. Give this a try and let me know if you’re a fan!! 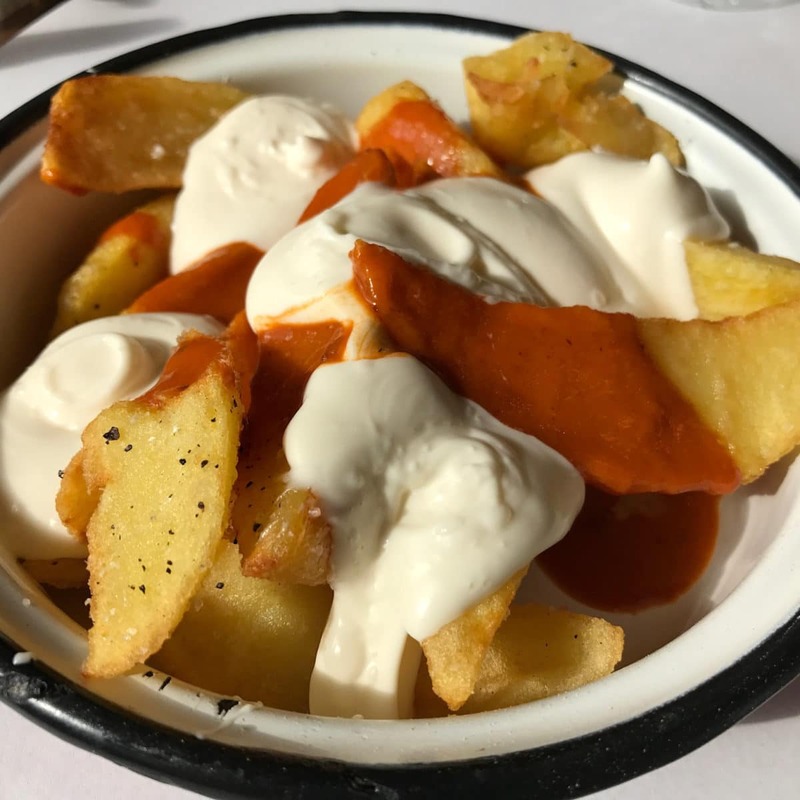 These patatas bravas are amazing! Make them. Process 4 cloves garlic & 1/4 red onion & salt in a food processor. Add 3 T tomato paste, 3/4 c mayonnaise, 1 t apple cider vinegar, a splash of siracha, and 1 Tablespoon paprika. Food process again. Add olive oil to smooth it out so it's creamy. Process again. Taste! Adjust. Enjoy! 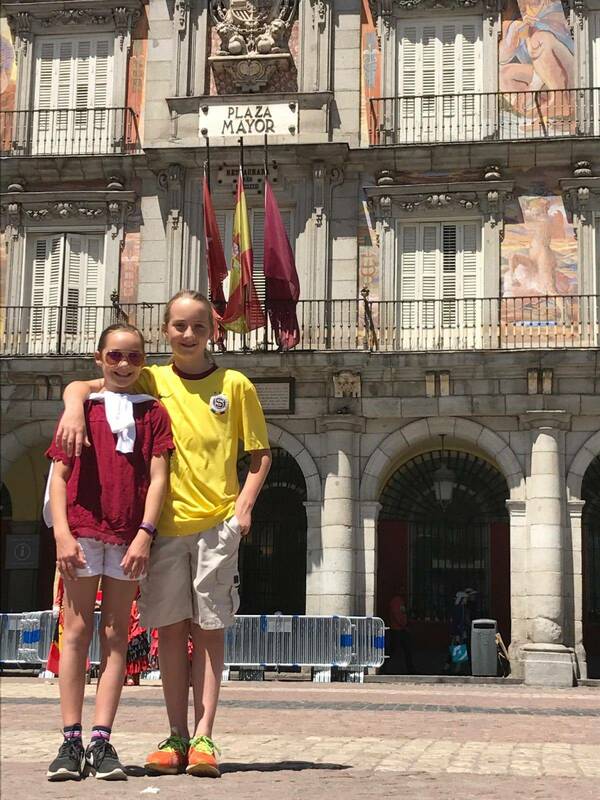 The twins – ready to help me eat my way around Spain!